Definition at line 197 of file Address.cc. Definition at line 25 of file tools.h. 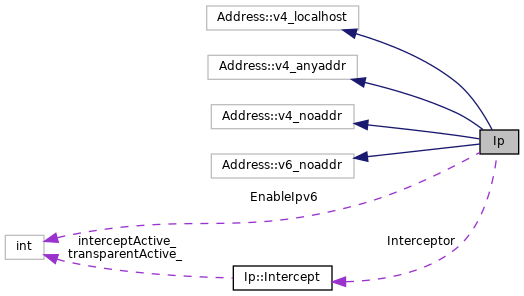 Referenced by comm_openex(), acl_ip_data::FactoryParse(), Ip::Address::getAddrInfo(), Ip::Qos::getTosFromServer(), Ftp::Client::handleEpsvReply(), Ftp::Server::handleEpsvRequest(), htcpOpenPorts(), icpOpenPorts(), idnsAddMDNSNameservers(), idnsAddNameserver(), idnsALookup(), idnsGrokReply(), Dns::Init(), ipcacheAddEntryFromHosts(), ipcacheParse(), Ip::Address::lookupHostIP(), IcmpSquid::Open(), Adaptation::ServiceConfig::parse(), parse_externalAclHelper(), parsePortCfg(), parsePortSpecification(), resolveDestination(), Ip::Address::setLocalhost(), snmpOpenPorts(), and Comm::ConnOpener::start().